I had a really nice surprise last week. I very rarely get something in the post that I'm not expecting so it was a real treat to have a little parcel arrive - especially when I took it out of it's postage box and saw that it was wrapped in wrapping paper that had been personalised just for me! 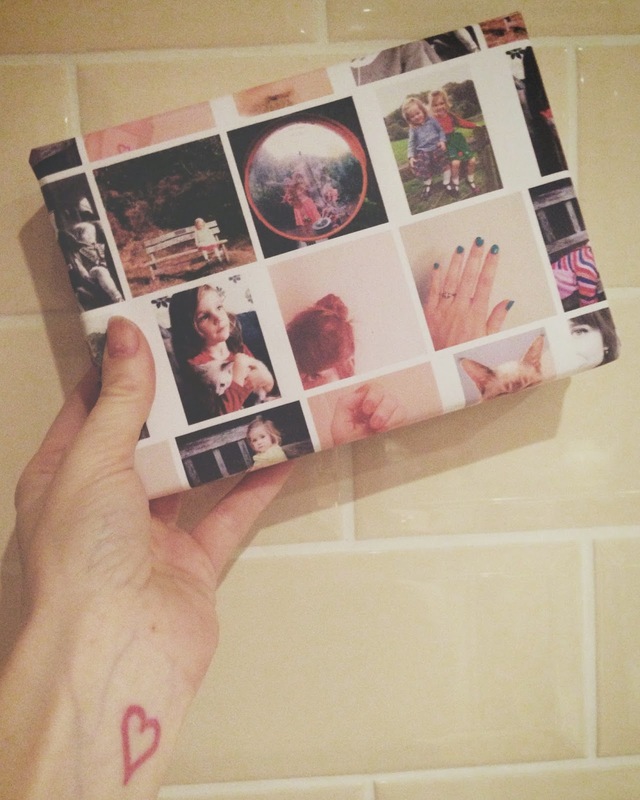 It came from a new company called wrap.me which offers a personalised service that designs unique wrapping paper using your photos. They can be taken from Facebook, Instagram or your camera roll and, after you've created it, your chosen design will be sent to you within three to four days. What an amazing way to make that special gift extra special, eh? I'll definitely be using this company this Christmas!